Interested in a career in law? The Paralegal Profession is a great place to start. Paralegals help lawyers prepare for hearings, trials, and corporate meetings. They also interview clients and witnesses, conduct legal research, and prepare legal documents for filing with court. 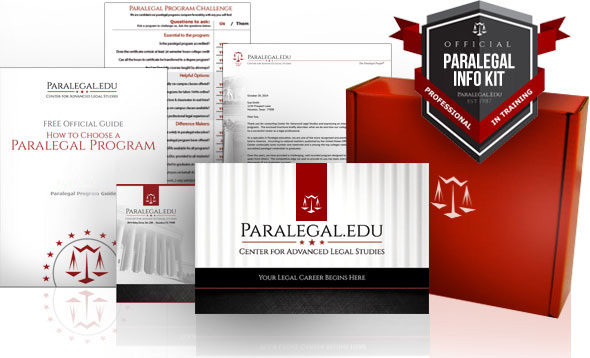 Our website and paralegal brochure are informative and answer many questions about the paralegal profession and the programs offered at Center for Advanced Legal Studies. Additional information about the paralegal profession and our programs. An introduction to a member of our staff who can answer your questions. A printed copy of our current Paralegal Program Brochure. A checklist of important paralegal program attributes for comparing programs. Submit the form provided and our Paralegal Information Kit will be mailed to you immediately.